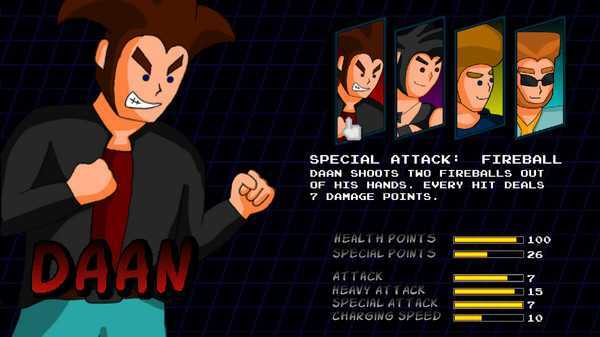 Remember the good old Beat 'em Ups like Little Fighter, Double Dragon or Streets of Rage? Made in 150 days by one dude, Battle Forever is an homage to this games and to the days were your only worries were your homework and your supply of chocolate! 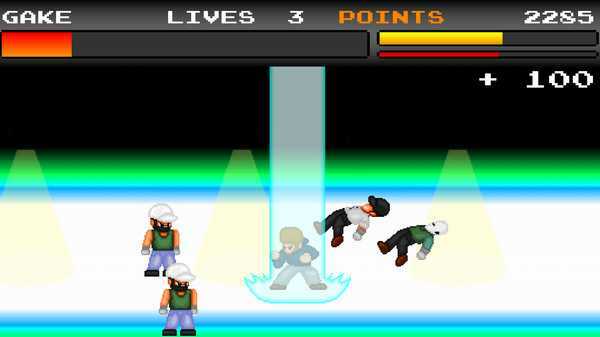 Choose your character and jump right into this arcade Beat em Up! Use your fists and your awesome special attacks to destroy your enemies and save the country from the evil Professor S., a mad scientist who wants to create the ultimate warrior. 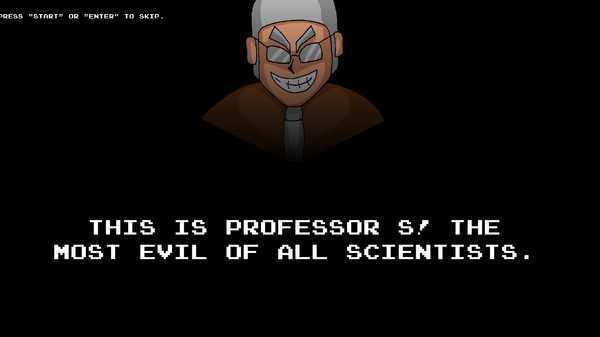 Set new highscores and challenge various enemies like stupid bullies or the infamous copier of doom! 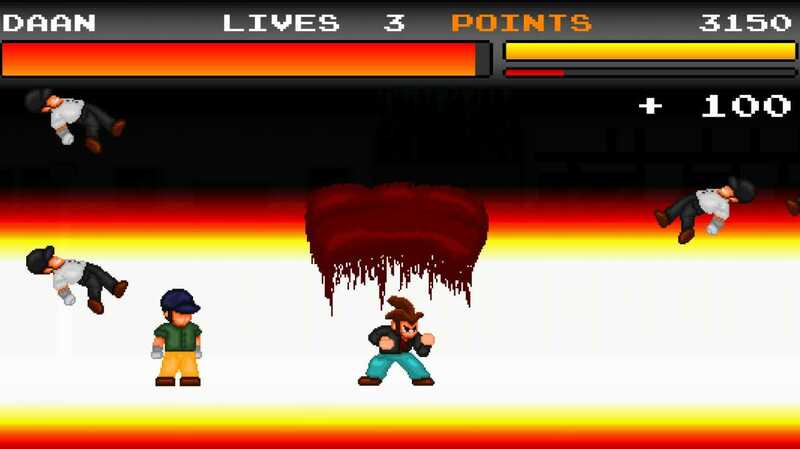 Try your best in 13 stages filled with loads of dudes who think they are better in punching faces than you or try to survive as long as possible in the Survival Mode. Teach them better! You can choose between four different and unique characters. Every fighter comes with his own special abilities. Shoot fireballs or freeze your enemies with cold ice shards! No face will be unpunched in this epic battle! 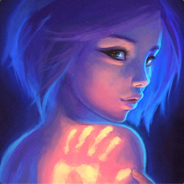 - 16 ingame achievements to unlock! Battle Forever is an arcade Beat 'em Up which reminds you of the good old days in the penny arcade. Fight your way from left to right and leave no face unpunched! Four characters, 13 levels, a survival mode and a ton of fun awaits you! Very retro arcade design is cool apart from the horrendous art in the beginning. Sound design is cute. Level design and gameplay is rather bland so can feel boring. Good work and clean cut indie, just not engaging enough for the arcade audience this is meant to be for.